With this new Product your catheter placement will be as easy as a single shot, by increasing patient safety and drastically reducing your time per block, ultimately resulting in a tremendous cost reduction and increased overall satisfaction. 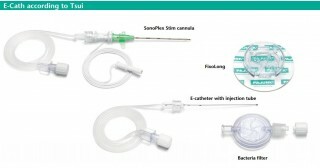 The penetration hole of the canula at skin level will have a smaller diameter than the catheter and therefore the problematic leakage at skin level will be finally eliminated. 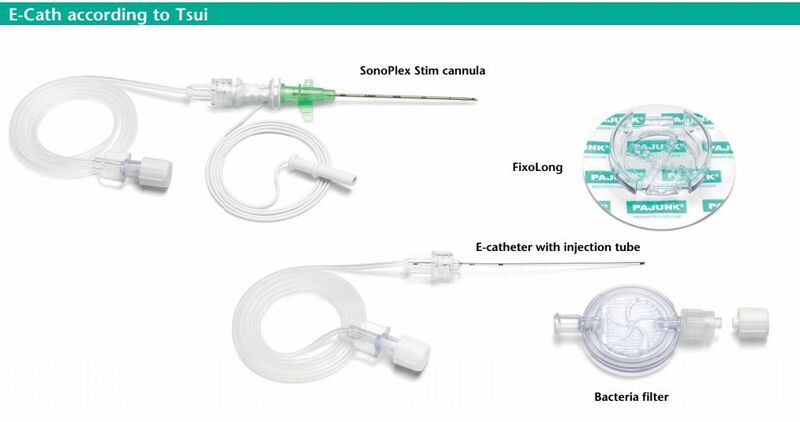 Many leading US Anesthesiologists are now extremely favorable in supporting the concept “catheter over needle”. Pajunk with the collaboration of Dr. Ban Tsui believed in this new approach to develop the E-catheter. With the E-Catheter we have now created a superior catheter product, which offers many new clinically documented benefits. Please convince yourself about the various advantages of the E-Catheter from Pajunk and join the club setting a trend in leading catheter placements into a new and simple direction.